Innovative Business Software A/S is a Danish company, which for more than 35 years, has built state-of-the-art security software solutions that have helped manage and streamline the most critical security operations at alarm receiving centres and control rooms, all over the world. Our mission is to improve our customers’ productivity and efficiency. Our core product – Innovative Security Manager™ (ISM) – is a highly advanced integrated task & incident management software platform. The versatile solution establishes the best operational overview in real-time, optimises alarm handling, incident and resource management through highly automated task registration, efficient resource allocation and execution, automated documentation and data collection for enhanced planning. Innovative has a strong and proven track record in developing security management solutions. 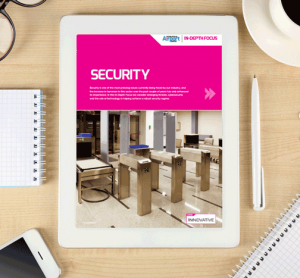 Innovative Security Manager™ is used by a wide range of customers within the airport industry, police forces, fire departments, private security companies, university campuses and industrial facilities.